The 3am Teacher: Guess What Hero Teamed up with Brody's "Heart to be a Hero" Fundraiser???? Guess What Hero Teamed up with Brody's "Heart to be a Hero" Fundraiser???? Welcome to my Marvelous Manic Monday!! It is already NOON and I am lagging over here!!! I get so caught up in emails sometimes, that I don't even begin my work day until noon..haha- although, I did manage to get a shower in this morning. Your efforts, kindness & support have helped my son raise $670 to Jump Rope for Heart through the American Heart Association!!! He is more than half-way to his goal of reaching $1000.00 with all of your help, so thank you for the many blessings!! Now onto something REALLY exciting!! I have recently connected with another artist who I have become quite fond of indeedy!! I am sure many of you know her, and after peeking at the image above, may have already guessed who it is I am referring to!! haha. This weekend, Nikki from Melonheadz (Woo HOO), saw that I was helping my son raise money for Jump Rope for Heart and asked if she could get involved to help him reach his goal!! To my surprise, Nikki outdid herself and created a completely NEW & SPECIAL (one of a kind) mini set to offer for this fundraiser!! I am more than thrilled to get an opportunity to work alongside another great artist. Her style is unique and appeals to so many. I am honored that she took the time to reach out and offer extra help for such an important cause! Now.... when you make a love (Hubba-Hubba) donation of $20.00 (or more) through my son's sponsored page, you will get A mini Melonheadz set... AS WELL AS the choice between one of my bundles below. Donations MUST be made before February 10th to receive the FREE gifts above. 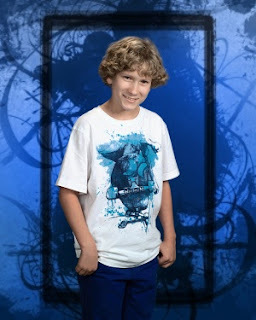 Click on my son's picture below to visit his sponsored page & make a donation. Remember to send an email to 3amteacher@gmail.com once you make a donation of $20.00 or more. Be sure to include your 3AM -bundle choice in your email. Thank you so much for you help & please be sure to stop by and say thank you to Nikki from Mealonheadz for her generous offer!!! Feel free to use the lovely poster image above to help spread the word!! We might even be able to surpass the $1000.00 goal!! Have a happy Monday everyone & Thank you for visiting!!! I just made my donation and am honored to be supporting your son! I know he is going to reach his goal:) so excited about the fabulous products as well! Thanks so much! I would be honored to support Brody!!! Your an amazing teacher to follow and you have offered your loyal followers so many freebies and items to make our teaching better! It's my pleasure! Thank you so much Julie!! Gosh! You are so incredibly encouraging!! LOVE!! Good Luck! Love the background papers! Woo HOO!! Thank you! Did you get the Melonheadz set?? If not, let me know and I will send it over straight away! It is so stinkin' cute!! Nikki is such a rock star!! What a doll Brody is! Just donated and I'm rooting for him to meet his goal! Thank you SOO much Linda!!! Let me know what bundle you want and I will send it over <3 You are so sweet! !